Why is Health Care Reform Significant? The ACA is the biggest overhaul of the United States’ health care system since Medicare and Medicaid in 1965. The law will make health care coverage a requirement for most individuals not an option. Health Care Reform changes the obligations of insurance companies and employers to provide consumer protections related to health coverage, like covering pre-existing conditions and not charging more for coverage based on an individual’s gender. What is the Intended Outcomes of Health Care Reform? • To provide individuals with higher quality and more affordability of health insurance. • Lower the uninsured rates. • Reduce costs of health care. Call The Capitol Group, Toll-Free at (800) 527-0669 if you have any questions about enrollment. On March 23, 2010, President Obama signed into law a comprehensive health care reform bill, the Affordable Care Act (ACA). The ACA includes numerous reforms aimed at improving the U.S. health care delivery system, controlling health care costs and expanding health coverage. The ACA’s reforms have staggered effective dates, with many key reforms taking effect in 2014. • The ACA is the biggest overhaul of the United States’ health care system since Medicare and Medicaid in 1965. • The law will make health care coverage a requirement for most individuals not an option. • Health Care Reform changes the obligations of insurance companies and employers to provide consumer protections related to health coverage, like covering pre-existing conditions and not charging more for coverage based on an individual’s gender. 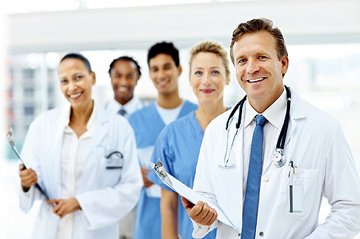 What are the Employer Requirements for Healthcare Reform? Beginning in 2014, employers with more than 50 full-time equivalent employees may be subject to a penalty tax if they do not offer health care coverage to all full-time employees (and their dependents). These employers can also be subject to a penalty if they offer coverage that is unaffordable or does not provide minimum value. The penalty will apply if any full-time employee purchases health insurance through an Exchange and receives a tax credit or cost-sharing reduction related to the coverage. Individuals and small employers with up to 100 employees will be eligible to participate in the Exchanges. However, states may limit employers’ participation in the Exchanges to businesses with up to 50 employees until 2016. Beginning in 2017, states may allow businesses with more than 100 employees to participate in the Exchanges. Enrollment in the Exchanges begins on Oct. 1, 2013. • Partner with HHS so that some FFE Exchange functions can be performed by the state. In addition, a state may elect to partner with HHS so that the state runs the Exchange’s small business health options program (SHOP) component and HHS runs the Exchange’s individual market component. States that intend to pursue a state-based Exchange or a state partnership Exchange must submit an application to HHS for its approval. If a state does not move forward with its Exchange or select the partnership model, HHS will operate the FFE in the state. In January 2012, Washington D.C. Mayor Vincent Gray (D) signed a bill into law to establish the District of Columbia Health Benefit Exchange Authority (HBX). HBX’s mission is to develop a state-based Exchange for the District of Columbia. In June 2013, the District of Columbia announced that its state-based Exchange is called DC Health Link. On Dec. 14, 2012, the District of Columbia received conditional approval from HHS for its state-based Exchange. More information on the District of Columbia’s Exchange is available at: http://hbx.dc.gov. On Oct. 3, 2012, the Exchange’s board voted unanimously to designate the Exchange as the sole health insurance marketplace for individuals and small employers (50 or fewer employees). On June 5, 2013, the District Council voted unanimously to approve the “Better Prices, Better Quality, Better Choices for Health Coverage Emergency Amendment Act of 2013.” This legislation requires all health insurance plans for both individuals and small businesses to be sold through the Exchange by 2015, which in effect dissolves the District’s non-Exchange individual and small group markets. • On or after Jan. 1, 2015, all small group health plans must be offered, issued and renewed solely through the Exchange. What is Additional Insurance Rate Review? What is Required for Essential Health Benefits? Under the ACA, EHBs include items and services in 10 general benefit categories, including hospitalization, maternity and newborn care, mental health and substance use disorder services, and prescription drugs. • The HMO plan with the largest insured commercial non-Medicaid enrollment in the state. The selected benchmark plans have been finalized for benefit year 2014. The District of Columbia selected a plan from the largest small group product (PPO) as its benchmark – Group Hospitalization and Medical Services, Inc. Blue Preferred Option 1. More information on the District’s benchmark plan is available on The Center for Consumer Information & Insurance Oversight (CCIIO) website. What is Involved in Health Insurance Reform? • Non-grandfathered group health plans to follow minimum requirements for external review of claims appeals. Although the ACA creates a host of federal standards, the health insurance market is primarily regulated at the state level. Some states may have laws that go beyond the federal minimums established by the ACA. For example, some states extend dependent coverage beyond age 26. The District of Columbia does not require insured health plans to maintain dependent coverage beyond the federal minimum age limit. The ACA amended the federal tax code so that, for federal tax purposes, the value of employer-provided coverage for young adult dependents is excluded from the employee’s gross income through the tax year in which the dependent child turns 26. The District of Columbia’s tax code is consistent with the federal tax code with respect to the favorable income tax treatment given to health plan coverage for an employee's adult child to age 26. However, health coverage for an adult child after the year in which the child turns age 26 will be subject to federal and District tax, unless he or she qualifies as a tax dependent.